On July 10, 2018, the Bloedel Conservatory became home to British Columbia’s first ever Titan arum (Amorphophallus titanum), more commonly called the Corpse flower. This name is inspired by the nasty smell of rotting meat given off by the flower to attract pollinating flies and beetles. By public vote, our Titan was nicknamed ‘Uncle Fester’. And pollinators weren’t the only thing Uncle Fester was attracting! Over 17,000 people made it into the Conservatory over the week to see, smell and take a selfie with the plant – sometimes waiting over 4 hours to spend a couple of minutes with him! The excitement really began Sunday evening, July 15 around 7pm, when Uncle Fester’s spathe (the frilly modified leaf), began to unfurl. He hit his stride and full smell by the next morning, beckoning every TV and radio crew in the Lower Mainland to come to get a whiff. The tall yellow spadix heats up internally to release a number of smelly compounds including dimethyl trisulfide (like limburger cheese dunked in sulphur), trimethylamine (rotting fish), isovaleric acid (sweaty socks) and phenol (like Chloraseptic). Uncle Fester reached a top temperature of 84 degrees Fahrenheit and smelled more like dead rats and rotten cabbage which seemed to come in waves. Titan arums are rare and don’t flower often, regardless if they are in the wild or at a botanic garden. 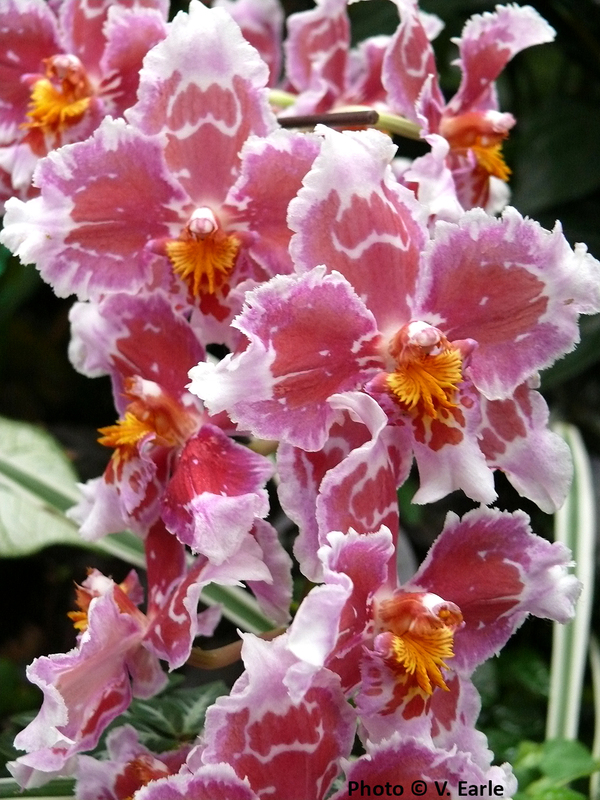 They are native to the island of Sumatra in Indonesia and often take between three to ten years to bloom. Technically they are the largest unbranched inflorescence in the world and listed as vulnerable on the IUCN Red List due to habitat loss from palm oil plantations. An estimated 72% of Sumatra’s original rainforest has been lost and the scale of deforestation is continuing at an alarming rate, affecting not only Titan arums, but also Rhinoceros Hornbills – a bird that eats the plant’s fruits and distributes its seeds. A number of gardens around the world are now growing these amazing plants to help with conservation efforts. For a young plant, our Titan arum really put on a show! It is only six years old, its corm (the underground tuber) weighs only 27 lbs, and it reached almost 6 feet in height. Typically corpse flowers don’t send up their first bloom until they reach between seven and ten years of age, with corms that can weigh nearly 200 lbs. When the bloom is finished, the spathe twists around the toppled spadix and contracts so tightly it forms a huge water-tight bag. This creates a safe protected nursery for the small inner female flowers to become fruit/seeds. Very important in a wet, humid rainforest with lots of hungry animals! Uncle Fester will stay at the Conservatory through Sunday and then will be moved back to the nursery for a good rest with lots of pampering. He will most likely send up a tall, 15-foot umbrella-like leaf every year to collect and store energy for his next bloom cycle. These plants are historically unpredictable, so this could be in 2-3 years, or it could take 10 years before we see Uncle Fester again! The Bloedel Conservatory is open regular hours, 10am – 8pm. Stop in for a last peek and say ‘farewell’. This week, Kramer can be seen practicing his ‘scary face’ for Halloween, but it’s all for show. 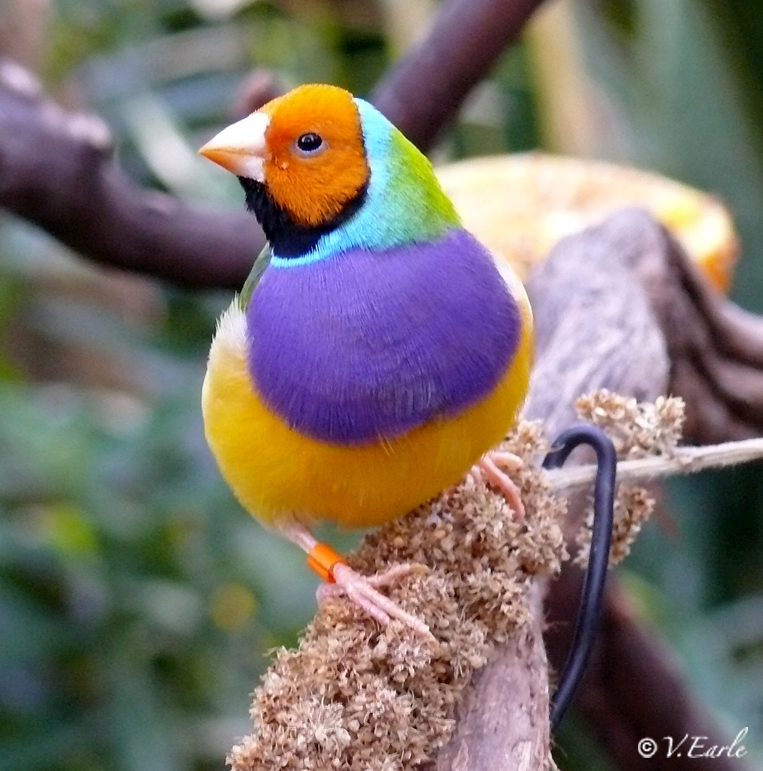 He is one of the most intelligent birds at the Bloedel Conservatory and he loves to entertain visitors! Kramer has a large vocabulary and is not shy about letting you know it! He says things like “Hello, Good Morning”, “Kramer is a good bird” (often followed by “Kramer is a bad bird”), “What is that?”, “Peek-a-boo”, “I’m a bird”, “Let’s party”, “Surprise!”, and “Good night”. In total, Kramer knows approximately 40 phrases. He will ask “Up, up, up?” when he wants to go for a walk, and as you leave at closing time, you will usually be serenaded with a heartfelt “Bye-Bye”! Sometimes his language can even get as colourful as the plants at the Conservatory! Watch the spotlight video at CTV Vancouver: ‘The Last Word: Dirty Bird Talking’ – that showcases the language he likely learned while living at a University frat house. Kramer, at only 14 years of age, had a number of different homes before he was adopted at the Bloedel Conservatory. This is an unfortunate reality for many parrots due to their long life spans. Cockatoos and mid-size parrots like African Greys can live approximately 60 years, while larger macaws can live over 80 years of age. This makes living in numerous homes a reality for many parrots as they often out live their care-givers. When Kramer first arrived at the Conservatory, he was a very scared and untrusting bird – ready to bite anybody at any time. But the staff at Bloedel knew he was special and extremely intelligent. They patiently worked with him everyday until he knew he was in a safe and loving environment. Now Kramer is a well-adjusted, friendly bird and one of the best known ‘celebrities’ under the dome. Moluccan Cockatoos (Cacatua moluccensis), also known as Salmon-crested Cockatoos, are the largest of the white cockatoos measuring 20 inches (50 cm) in height. Females are larger than males and have light brown or burgundy eyes. Male eye colour is dark brown or black. These cockatoos weigh approximately 2 lbs (.9 kg) and have pale salmon-pink feathers with light yellow on the undersides of the wings. 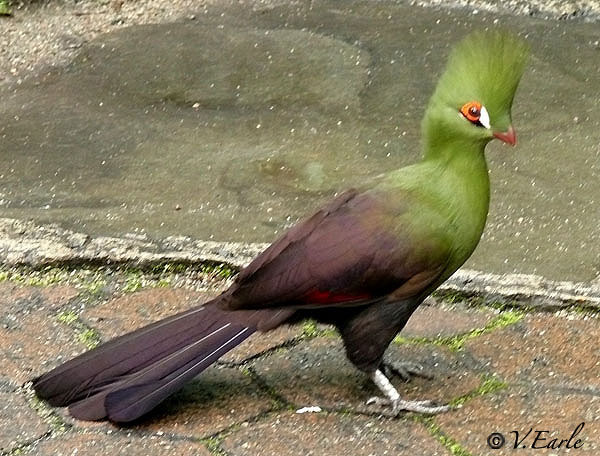 They use their large crest to express emotions such as excitement, fear or curiosity. Like many cockatoos, they have a white powder coating from powder down feathers that help them with preening. Moluccans are native to Seram, Indonesia (South Moluccas aka Spice Islands). They were also once common on the Sapara, Naruku and Ambon Islands, but development has destroyed these breeding populations. They are an endangered species in the wild, listed on Appendix I of CITES since 1989. 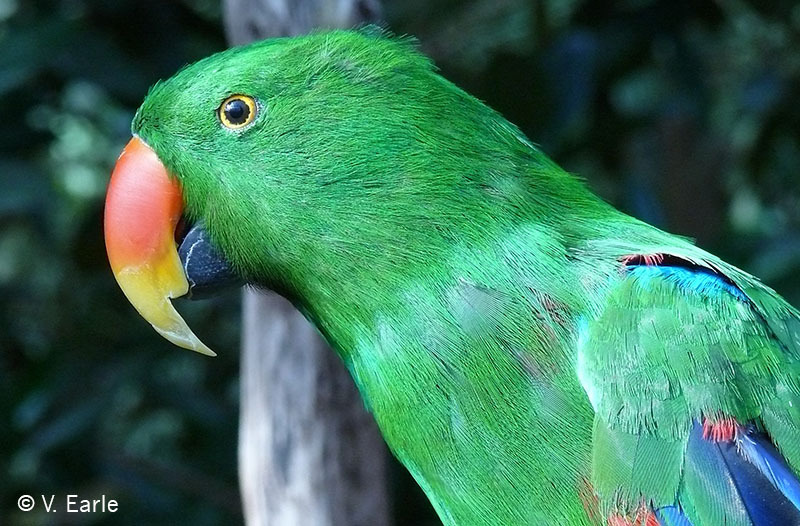 The Bloedel Conservatory works with a local non-profit organization called GreyHaven Exotic Bird Sanctuary that specializes in parrot rescue, rehabilitation and adoption. All the birds at Bloedel have either been directly donated to the Conservatory from homes that can no longer keep them or have been adopted from the GreyHaven Sanctuary. Stop in to meet Kramer, and all of the beautiful birds, at the Bloedel Conservatory. They can’t wait to see you! Looking for BC Transit Bus / Canada Line information to visit the Bloedel Conservatory or VanDusen Botanical Garden? Are you on foot or cycling and need the best route between the gardens? The Bloedel Conservatory / VanDusen Garden Travel Map is now available. All nearby bus stops and travel times between the sites are colour coded and listed for your convenience. View online or download the Bloedel Conservatory_VanDusen Garden map .pdf to print or share with out of town visitors. 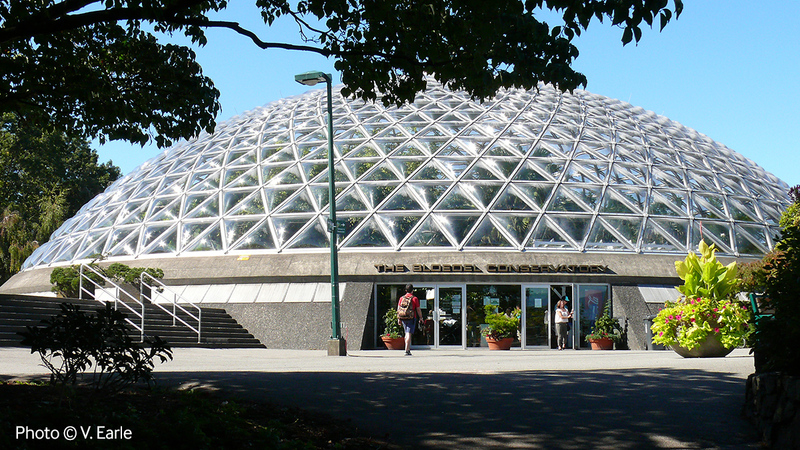 More and more people have been celebrating the Bloedel Conservatory and rediscovering the magic under the dome! Frequently heard are comments like “The Bloedel Conservatory is my new happy place” and “Bloedel is my dome away from home”. This means that the partnership and hard work of all staff and volunteers of the Park Board and the VBGA are working and headed in the right direction! At the start of every New Year, it is important to reflect on our successes and share our gratitude. The Bloedel Roving Docent Program wrapped up it’s second successful year in 2015 and is continuing in 2016 with 18 new trainees. New docents begin training in January and undergo an intensive eight week program to learn about the world of tropical plants and birds that live under the dome – plus their bigger connection to rainforests around the world. This team of dedicated volunteers has been a tremendous asset to the Conservatory, heightening the visitor experience by sharing the incredible stories at Bloedel with guests. They are on hand every Saturday, Sunday and Monday from 10am – 4pm. Ildiko Szabo, Assistant Curator Cowan Tetrapod Collection, UBC Beaty Biodiversity Museum giving a presentation to Bloedel Roving Docents. Family Fun on Family Day: Activities included bird talks, ladybug and butterfly releases (including information about why they are good for your garden), opportunities to feed the finches, as well as a Tropical Adaptations station that provided information about unique strategies rainforest plants use to survive in this unique climate. Joshua Yu, Owner of Metamorphic Butterfly Farms, giving demo about the life cycle of butterflies on Family Day. A Special Mother’s Day Celebration: Vancouver Orchid Society specialist Margaret Pratt shared examples from the spectacular world of orchids and discussed their care; craft tables for kids where set up where children could plant a starter herb and create their own Mother’s Day card; and artists from the Katami Design Studio designed special Bloedel Conservatory jewellery just for the occasion. National Garden Days: For the first time in Vancouver, five incredible public gardens united to offer a special Vancouver Garden Pass for the National Garden Days celebration. Just in time for Father’s Day, garden aficionados could visit the Bloedel Conservatory, VanDusen Botanical Garden, Sun Yat Sen Classic Chinese Garden, Nitobe Memorial Garden and UBC’s Botanical Garden and Centre for Plant Research all on one pass. Queen Elizabeth Park’s 75th Anniversary: More than 20,000 people came out to celebrate QE Park’s 75th Anniversary! Free concerts, aerial acrobatics of CircusWest and activities including Pickleball, Pitch & Putt, entrance to the Bloedel Conservatory and $5 Zipline rides filled the park with music and entertainment throughout the day. 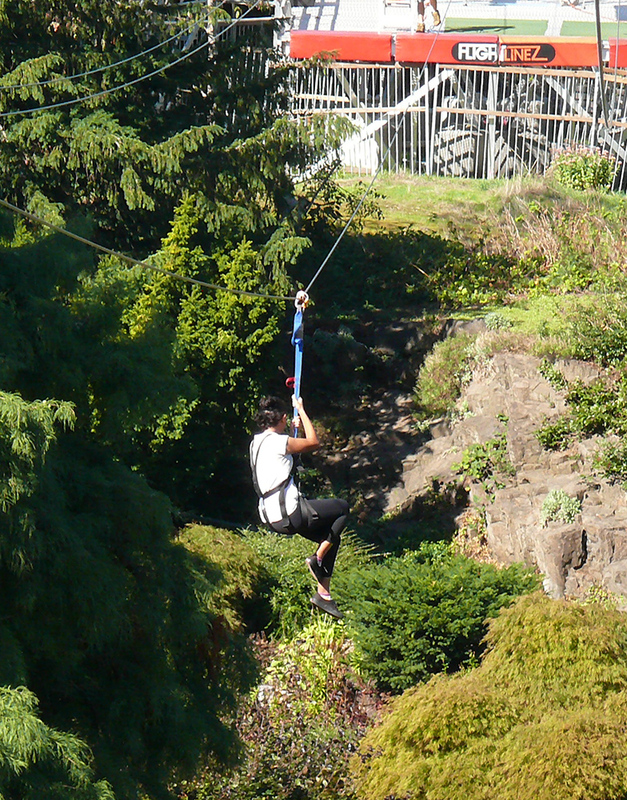 Over the course of the summer and fall, the QE Park Zipline, constructed and operated by Greenheart International FlightLinez, saw over 25,000 thrill seekers zoom over the Large Quarry Garden gaining incredible views of Vancouver. It operated for 87 days, 7 days a week and generated $334,787 total revenue with partial proceeds going to Children’s charities including BC Children’s Hospital Foundation, Toy Mountain 2015, and Variety – The Children’s Charity. The Bloedel Conservatory also experienced a boost in attendance with a discount extended to Zipline riders. Enchanted Nights: New this year, a world of whimsy and magic at the Bloedel Conservatory is wowing visitors with artisan sprite villages, hand-blown glass, Fairy Queens and unicorn rides. In this holiday attraction for all ages, patrons can walk through a miniature world of fantasy with magical lights, holiday music, and live entertainment set amongst the dome’s tropical plants and exotic birds. Displays have been created by Corey Cote, the Enchanted Forest Collective, Christopher Moreno of 365 Productions, Melissa Hume of Dirty Clay Studios, and Benjamin Kikkert of New-Small & Sterling Studio Glass. Hurry while you can! Enchanted Nights at Bloedel is open until January 3rd, from 4 pm to 9 pm. 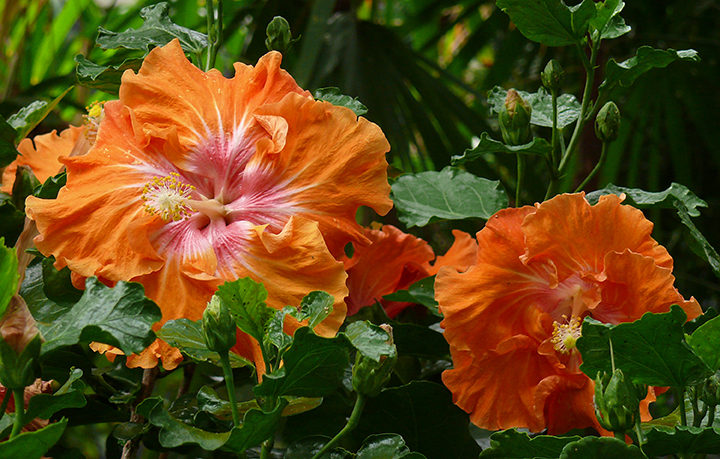 With all the extra light created by the New Roof Renovation in 2014, the Conservatory experienced stunning new blossoms in 2015 including African Popcorn plants, plate-sized hibiscus, a variety of gingers and Mysore Trumpet Vines. This year also welcomed a number of new birds to the flock. Blanca, the Umbrella Cockatoo loves visitors, often fanning her crest and showing off her great dance moves. Diamond Doves add to the melodies under the dome with their gorgeous ‘wood-flute’ sounding songs, while the new Chinese Pheasant, Roul Roul Partridges, Bourke’s parakeets and variety of finches add colour and entertainment around the feeding station. And for the first time, the Bloedel Conservatory joined the Pollinator Project and introduced Mason Bees into the lush iconic dome. Unlike Honey Bees that live and work in a community, Mason Bees are solitary. Because there is no Queen bee, they do not sting. This makes the Mason Bee ideal for public places. 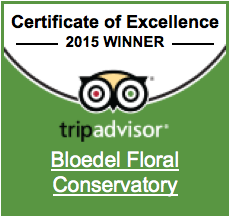 On that note, please accept our appreciation and sincere thanks to you as a supporter of the Bloedel Conservatory. Whether you have joined us at events, generously donated, or simply shared our commitment to reinvigorate the Conservatory and re-engage with the community, our mission is made that much more attainable knowing that we have your support! Thank you and Happy New Year! Queen Elizabeth Park Turns 75! Come out and join the celebration! This Sunday is a family-fun filled free day throughout Queen Elizabeth Park, honouring its 75th Anniversary! There will be much to do! Take in a free concert, enjoy the Stanley Park Brewing licensed area, be awed by the aerial acrobatics of CircusWest, stop in and chat with the parrots at the Bloedel Conservatory (free admission), take a thrill ride on the $5.00 Zipline, or try your skill at free Pickleball, Pitch & Putt and Lawn Bowling, plus much more! It will be a fantastic day! Something to do for everyone in the family! Come out and celebrate this beautiful park at the highest point in the City! Queen Elizabeth Park is a city landmark, once known affectionately as ‘Little Mountain’ as its summit is just over 501 feet and is located at the geographic centre of the city. The land was originally owned by the Canadian Railway and was turned into a basalt rock quarry between 1890 – 1911. Rock from the quarry was used to build the first roadways in Vancouver. In 1912, the Canadian Pacific Railway first offered the land to the City of Vancouver. No action was taken at the time, but it was reserved for park purposes. In 1929, Vancouver amalgamated with the municipalities of Point Grey and South Vancouver. It then proceeded to acquire the property from CP Rail. By the end of the 1930’s, it was turned over to the Vancouver Park Board. 1939 was a historic year! 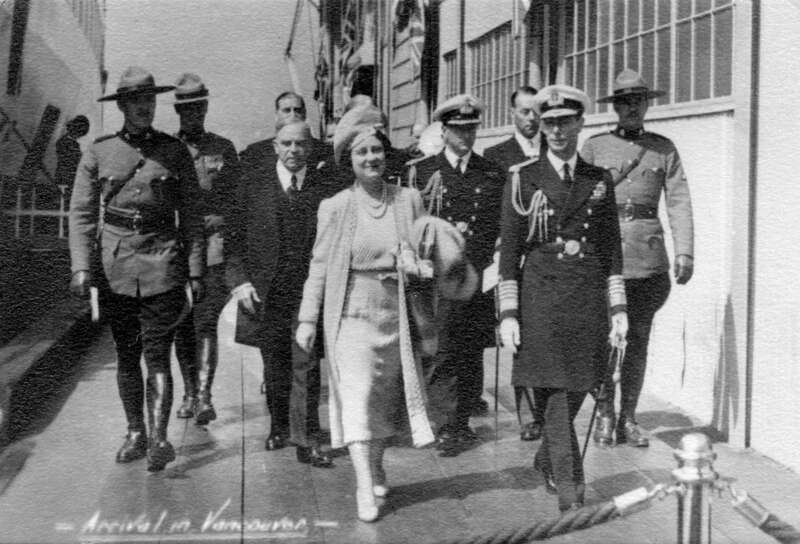 King George VI and his consort Queen Elizabeth traveled the Country on their first official Canadian tour. The royal couple traveled from the east to the west coast on the Canadian Pacific Railroad. While in Vancouver, they visited North and West Vancouver, Stanley Park, UBC and Little Mountain. In July 1940, Little Mountain was officially renamed “Queen Elizabeth Park” in dedication to the visit from the royal couple. From that time, with $5,000 per year funding from Canadian Pulp and Paper Association, Park staff began transforming the overgrown hillsides into Canada’s first civic arboretum, with over 1500 species of trees. Examples of all the native trees found across the nation were planted along with many exotic species to create the beautiful landscape, which is Queen Elizabeth Park today. Queen Elizabeth Park covers 52 hectares (130 acres) and is one of the most beautifully maintained public parks in the world. It is second only to Stanley Park in annual visitations, receiving nearly 6 million people per year. Special Mother’s Day Event at the Bloedel Conservatory! Looking for a unique venue to delight Mom on Mother’s Day? 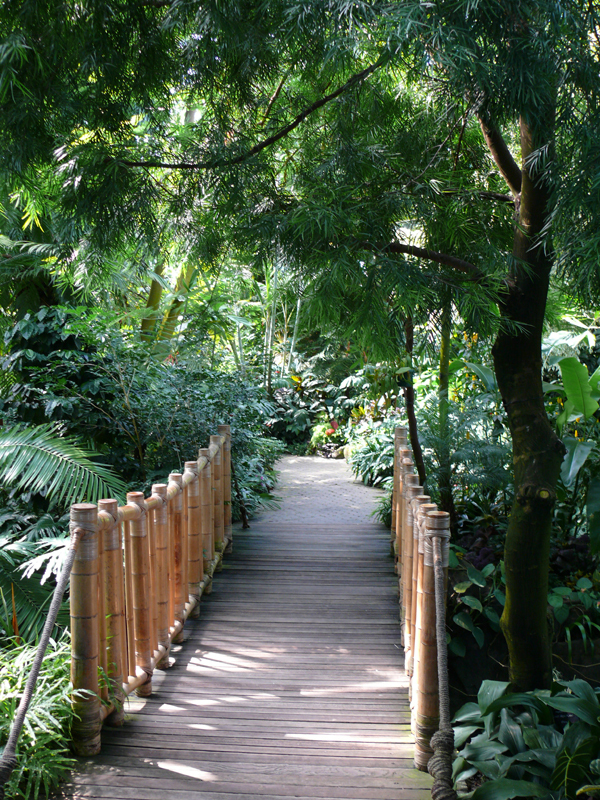 Treat her to a special day at the Bloedel Conservatory and Queen Elizabeth Park on May 10th! The Bloedel Conservatory is now on Summer Hours and just in time for Mother’s Day! There will be much to do for the whole family! Not only is the Conservatory a healing garden – a magical place to unwind and relax in the lush atmosphere of the tropics, we’ve assembled a treat package that you can pre-purchase for Mom to receive when she arrives on Mother’s Day. This $28 package includes one adult admission to the Conservatory, special treats from Truffles Fine Foods, Daniel’s Chocolates, Barefoot Venus, and Evian, plus an exclusive silver Umay pendant ($20 value shown below) designed by the Katami Studio. “Umay” is Turkish for Hope and was also a goddess offering luck. 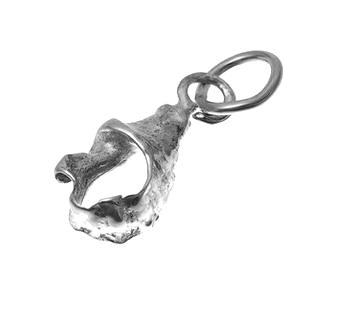 This pendant was formed from a raw and imperfect seashell and each is cast by hand to ensure the finest quality. Stations will also be set up around the Conservatory during the event: Learn all about orchids and their care with Vancouver Orchid Society specialist Margaret Pratt; Visit the craft table for kids so they can plant a starter herb and create their own Mother’s Day card to gift to Mom; Artists from the Katami Design Studio will be hosting a jewellery trunk show and eat or visit Season’s in the Park Restaurant for brunch or dinner. So much to do! And don’t forget to bring your camera. The park gardens are stunning with spring blossoms and the chatty parrots at the Bloedel Conservatory are sure to delight the entire family. A very lovely day to celebrate Mom! Regular admission applies. Walk-ins welcome. Wheelchair accessible. Also brand new for the summer months: Health and Wellness Programs are now scheduled at Bloedel. Join instructor Shelagh Smith on May 21st, June 18th, or July 16th, 2015 from 6:30 pm to 8:00 pm for the Rapt in Nature Tropical Walk Series. The Bloedel Conservatory Joins the Pollinator Project! With Spring in full swing and lots of blossoms at the Bloedel Conservatory, it is a perfect time to introduce Mason Bees into the lush iconic dome. Mason Bees are an early Spring pollinator. 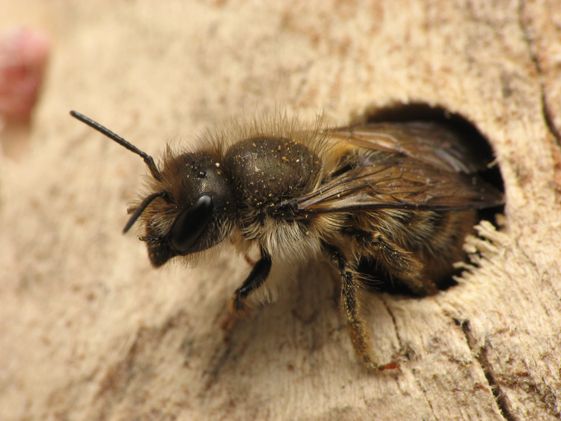 Unlike Honey Bees that live and work in a community, Mason Bees are solitary. Because there is no Queen bee, they do not sting. This makes the Mason Bee ideal for public places where visitors of every age can be in close proximity to observe their work. Mason Bees are considered superior pollinators (especially for fruit trees), true “work horses” of the garden. They are a fast bee, visiting approximately 17 blossoms per minute. In fact 1 mason bee pollinates as many flowers as 100 honey bees! 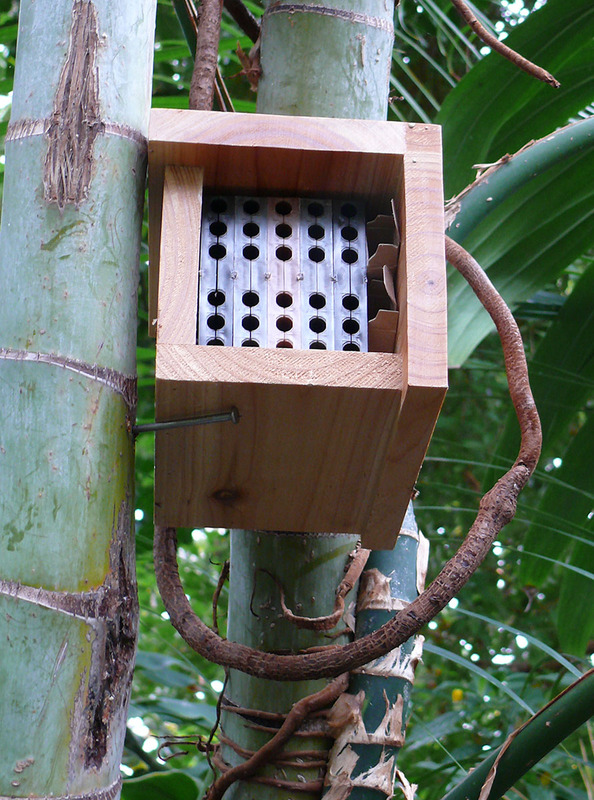 This is encouraging many people to introduce these bees to their own gardens by providing man-made nesting sites like the one seen below. Mason Bees emerge from their cocoons in the spring. The male bees are the first to come out of the nest. They remain near the nest waiting for the females. When the females emerge, they mate, then the females begin provisioning their nests. Every female bee is fertile. In nature, she makes nests in long cylindrical holes about the size of a pencil – typically in hollow twigs or abandoned nests of wood-boring beetles or carpenter bees. Females visit flowers to gather pollen and nectar. A mother bee then lays a single egg in a nesting tunnel and deposits a ball of gathered pollen and nectar for food when that egg hatches. Next, she builds a wall from mud or clay to close that chamber before laying the next egg and depositing the next food ball. Building these walls are how Mason Bees got their name! 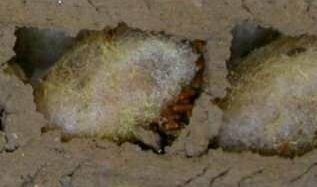 Mason bee nest cell with cocoons. Photo courtesy of Creative Commons. Amazingly, the mother bee can control the DNA to produce approximately 50% males and 50% females. Once a bee has finished with a nest, she plugs the entrance to the tube, and then may seek out another nest location. Each female can lay approximately 25 eggs. By the end of June, the nesting period is over. By late October or early November, the lavae pupate and spin silken cocoons within the nest chamber where they will lie dormant over the winter months. 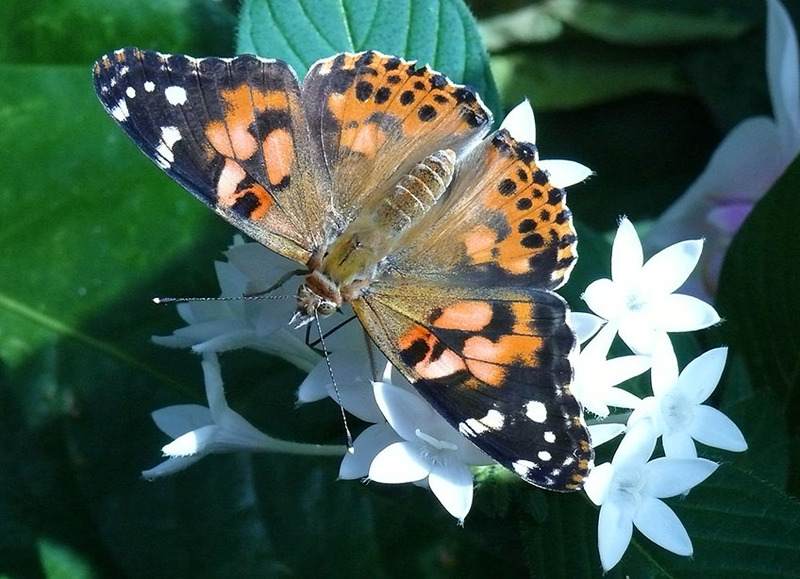 Pollinators have declined in many areas but the exact causes are not known. 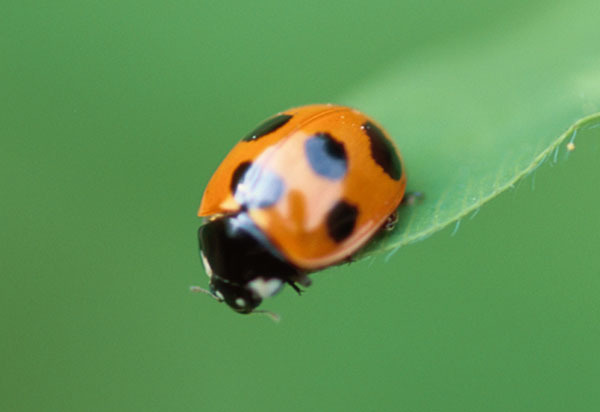 Factors include habitat changes from growing cities, spread of disease (mites and viruses), and pesticide use. When sourcing out pollinator friendly plants for your own garden, please avoid plants and seeds sprayed with nicotine-based insecticides (neonicotinoids). These will kill the beneficial bees and butterfly pollinators along with unwanted pests. Man-made mason bee nests, cocoons and supplies can be found at many local garden and wild bird stores in the Vancouver area. Family Fun on Family Day at the Bloedel Conservatory! Tropical Adaptation station, Herb potting activities, and ‘Ask me’ Docent tables will be ongoing throughout the day. The Bloedel Conservatory is fully wheelchair accessible, with benches along the pathway so it’s easy to sit close to the parrots to watch their antics or have a chat! Handy Bird Guides and Scavenger Hunts are available at the front counter. Treat the whole family to a stroll through the magical Bloedel Conservatory, our green jewel at the highest point in Vancouver. There will be lots to do to delight everyone at any age! See you there!